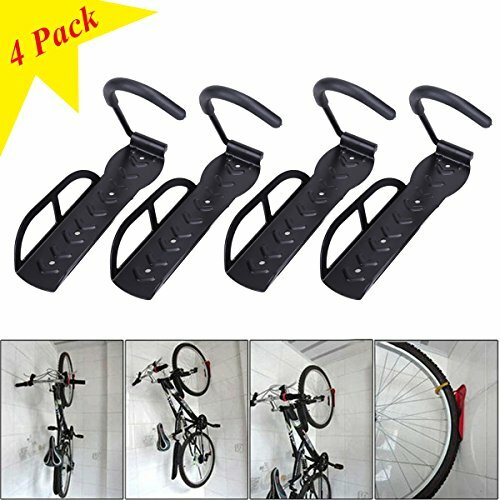 Bicycle wall mount hanger for hanging the bike vertically to save space. Made of strong solid steel, load capacity up to 66lbs. Rubber coated hook protects the wheel rim from scuffing or scratching. Four mounting points and side special design make fastening sturdy. Fixed tire hook distributes weight to the mounting plate. 100% brand new and high quality. Bicycle wall mount hanger for hanging the bike vertically to save space. Made of strong solid steel, load capacity up to 66lbs. Rubber coated hook protects the wheel rim from scuffing or scratching. If you have any questions about this product by TF-Godung, contact us by completing and submitting the form below. If you are looking for a specif part number, please include it with your message.